Germany's Mob Rules recently celebrated 20 years in the business of heavy metal, releasing the massive box set Timekeeper. Now the band returns with their eighth studio album Tales From Beyond. To say that this album is typical Mob Rules is not an understatement or meant to be derogatory. 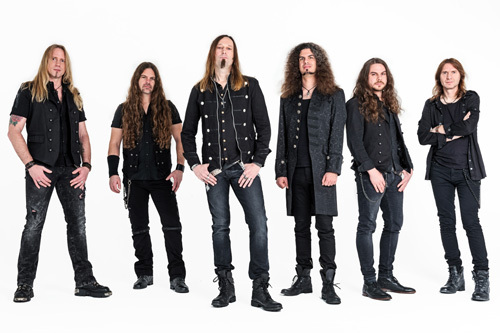 The band's approach has been consistent for some time, largely heavy power metal. It's the usual suspects: twin guitar harmony cast in sharp brisk riffage and truckloads of soaring solos, a heavy thumping rhythm section, and generally melodic vocals. But I've always considered the latter Mob Rules weak spot. It's not that Klaus Dirks is poor singer. Not so. He just gets crushed in the mix by the heavy metal. It's all rather hard charging stuff. There's some lighter acoustic moments within Dykemaster's Tale or the beginning of My Kingdom Come. A Tale From Beyond (Part 2: A Mirror Inside) has a lighter slower start as well, with light guitar segue after the midpoint, but the riffage still rules in the end. Thematically, or lyrically, Mob Rules continues with historical references and some sci-fi fantasy. Notable to the former is the opening track Dykemaster's Tale from the classic work of German fiction, The Rider on the White Horse by Theodor Storm. The former comes in the three part title track, Tales From Beyond, (very) loosely based on the novel The Martian by Andy Weir, and made into a movie of the same name in 2015, featuring Mark Wahlburg. 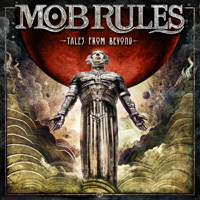 My basic recommendation, by way of conclusion, is rather straight forward: if you've liked what Mob Rules has been doing over the past several albums, sharp and heavy power metal, you will undoubtedly enjoy Tales From Beyond. 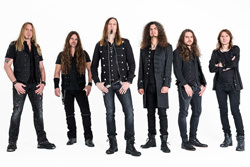 If you've liked what Mob Rules has been doing over the past several albums, sharp and heavy power metal, you will undoubtedly enjoy Tales From Beyond.